We’re focusing today on Alex and Ani in our Maker’s Spotlight. Alex and Ani is a company that creates beautiful, meaningful jewelry that’s also environmentally friendly and conscious of its impact on the environment. All their jewelry is made in America. The company uses sustainable materials that are gained from eco-conscious material processing. Their business is founded on the idea of giving as well as being grateful for what is received. Carolyn believes in the power of positive energy and created the company to harness and provide that energy to others through her jewelry. She was named Ernst & Young’s New England Entrepreneur of the Year, and in 2012 the RI Small Business Association named her Small Business Person of the Year. The products created are infused with what is described as chi and prana, which is the energy that is thought to support life. It’s a positive energy the company embraces wholeheartedly. 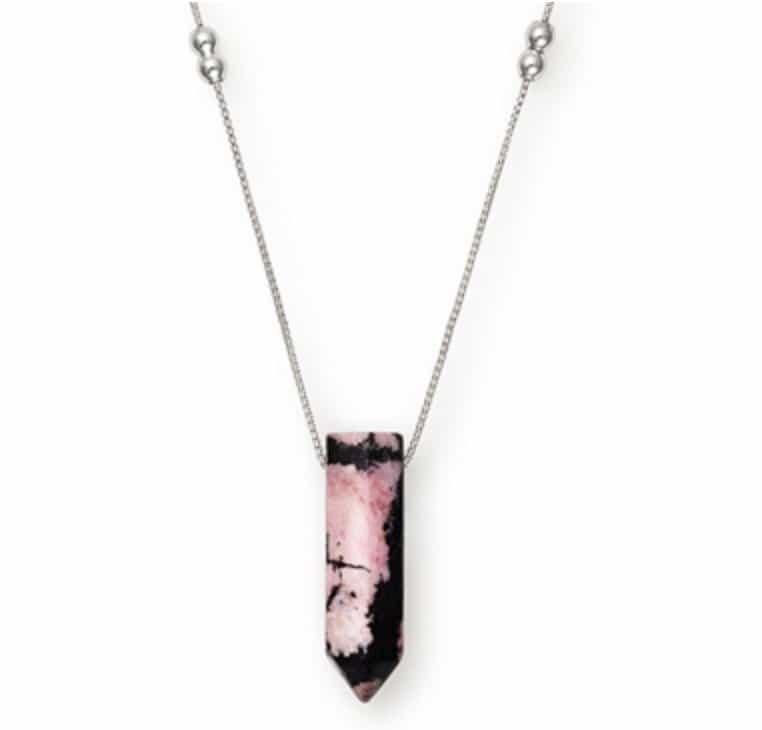 They believe in creating jewelry that’s infused in three ways. Positive intentions start in the American factories where the jewelry is created. The symbols and designs have their own energy based on their meanings, and third, the symbols are meant to be a talisman for the person wearing it based on what kind of power they want. Each bracelet, ring or necklace has a meaning that can be mingled with other jewelry and their meanings to create a talisman that is uniquely, personally powerful. At the company, they offer employees in-house coaching as well as courses that help each individual grow and thrive in the corporate community. they’re supportive and want their employees to have a work-life balance that helps them lead a full, meaningful life. They don’t just care about the customers, that caring extends to their employees, too. Each piece of jewelry, whether it’s a bangle, charm, cuff or necklace, has a trio of intentions. We’ve included each one for you to see within the collection we’re discussing. For example, the Guardian Angel necklace charm has the words Aid, Divine and Direction to symbolize the intention with which it was created. These bracelets, cuffs and charms are meant for the special bonds shared within families. From sisters, moms, aunts, grandmothers, and daughters, each piece of jewelry as well as the charms represent the bonds with females we have within our families. 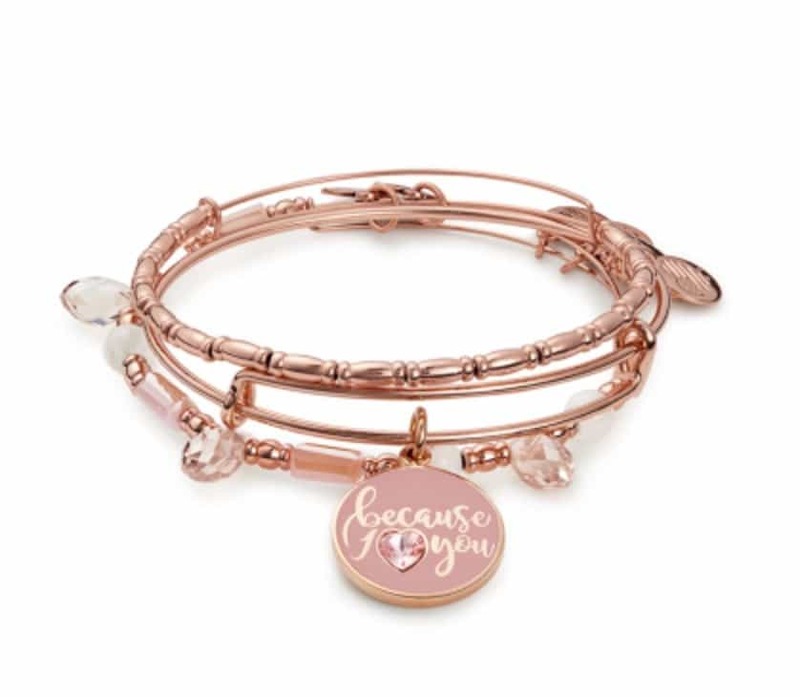 Along with family bonds, there are friend bangles and charms to celebrate the bonds we have with other women in our lives. One of our favorite charms is the True Direction that has an old-fashioned compass with a heart center and the words “A Mother’s Love is True North Always Guiding the Way Home” on the outer edge. A mother’s unconditional love is the purest form of the love in the world, and this bangle charm celebrates that love. Each bangle bracelet has a crystal from Swarovski. These colorful beaded bracelets come in so many colors, it’s difficult to choose a favorite. There’s the Sunglow Beaded Bangle with Swarovski crystals, which has silver and pale, yellow crystals. A vibrant Petal Bangle with Swarovski crystals might be more your style with it’s bright pink crystals. Each bangle bracelet is expandable to fit any size arm. Each bracelet comes in different color metals like silver, gold or rose-gold finishes. It can be customized for the perfect fit. To truly personalize your jewelry, choose one with initials, numerology, zodiac signs, or birthstones. Pick a charm or a ring with your lucky number or one with your birth sign to create a truly personalized piece of jewelry with the intention you’d like to bring into your life. On the website, there’s a personal blueprint to help you figure out your lucky number. It’s a personal number that reflects your name as well as your birth date and the energy you’d like to surround you. When purchasing an Alex and Ani bracelet, you can choose the charity you’d like to support. A Red Heart Bangle supports the Global Fund to fight AIDS. They pledge to contribute 20% of the purchase price to the cause. They’ll send a minimum of $25,000 to the charity. The American Cancer Society, The National Network to End Domestic Violence, Breast Cancer Research and Big Brothers Big Sisters of America are just a few of the charities that this company will contribute money to when you purchase the associated bracelet and charm. We had to aim the spotlight at this incredible company that just happens to make stunning jewelry that just radiates positive intentions as well as positive actions in the world. It’s really no wonder that the company has received awards and has become a rising star in the world of jewelry design and creations.